The purpose of this study was a psychometric evaluation of the 4-item perceived social connectedness (PSC) scale. The study analyzed secondary data from a project that assessed physical, behavioral, and social health characteristics of adults with serious mental illness receiving integrated services at community mental health centers (CMHs). The current sample comprised those diagnosed with schizophrenia attending these CMHs (N = 146). Most participants were African-American males who receive disability benefits with Medicaid as health insurance. The sample self-reported low-to-moderate levels of social connectedness, daily functioning, and symptom severity. Factor analysis of the PSC scale revealed one dimension, accounting for 66% of total variance, with strong item loadings. Reliability coefficients indicated sufficient scale internal consistency. Construct validity was suggested via the PSC scale’s directional, significant convergence with daily functioning and symptom severity. Implications include the application of the PSC scale for this socioeconomically disadvantaged population that customarily lacks meaningful social networks. Some content on this manuscript was taken, with permission, from a graduate thesis by Mary E. Heintz. Ethical guidelines of researchers’ evaluative independence and requisite objectivity throughout the study were followed, as required by the LSU Institutional Review Board. Data from this study were obtained from a previous research project supported by the Substance Abuse and Mental Health Services Administration (SAMHSA), Center for Mental Health Services (CMHS), Grant No. SM-59688, Primary and Behavioral Health Care Integration. The views reported in this manuscript do not represent those of SAMHSA CMHS. Lemieux CM, Thomas KA, Newransky CM, et al. 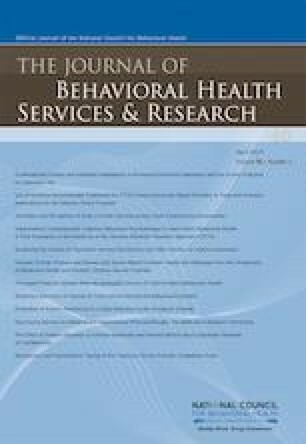 Correlates of treatment retention among persons with serious mental illness receiving integrated care in a community mental health setting. Journal of Social Service Research. 2018. Available online at https://www.tandfonline.com/doi/full/10.1080/01488376.2018.1457594. Accessed on May 22, 2018. Garson GD. Reliability Analysis: Split-Half Reliability. 2009. Available online at http://tx.liberal.ntu.edu.tw/~purplewoo/Literature/!DataAnalysis/ReliabilityAnalysis.htm. Accessed on May 13, 2018. IBM. (n.d.). SPSS Statistics Version 25. Available online at https://www.ibm.com/products/spss-statistics. Accessed on May 13, 2018.